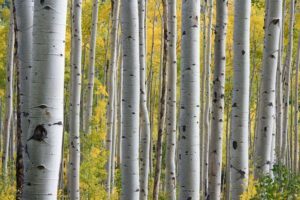 The largest living organism is a grove of Aspen tress in Utah that was originally thought to be 40,000 individual trees. When studied, it was discovered that it was one massive root system/tree that supported all the individual parts (stems/ trunks). This tree is known as “Pando” and it is one giant root that support all the individual tree branches. The “Aspen Tree” is our inspiration/emblem because it reminds us that we are a part of an interconnected tree root, and by working together we provide the best support to all the children and families we encounter.